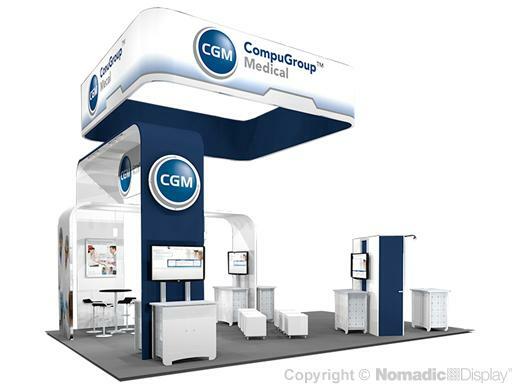 Nomadic modular trade show booths are scalable to work in more places and evolve with your changing business needs. In fact, we led an evolution in modular trade show exhibits by engineering our product lines to integrate with one another. So, you benefit from the ability to enhance, expand and repurpose your properties to fit multiple applications. Our island display scales to a portable inline and backwall unit giving you a more display options. Nomadic trade show displays offer the most functional accessories such as: integrated AV workstations, display counters with locking storage, walk-in storage and theater presentation area.